It did not feel like it was a better fourth quarter for housing sales in Northern Nevada, but it actually was. This year, according to the fourth quarter report from the University of Nevada, Reno, Center for Regional Studies Housing Report, we sold 412 new homes versus 363 last year and 1,608 existing homes versus 1,569 last year. Fourth quarter condo sales were also up: 26 new condos versus 9 last year, and 328 existing condos sold versus 238 sold in 2016. Because of our continuing growth and our lack of inventory, prices continued to rise. With the rising cost of materials and shortage of labor, it is surprising that the median price of new homes only increased from $405,000 to $408,000. However, the picture changes in the sale of existing homes, perhaps because of the pent-up demand and due to people moving to the area that are desperate to find housing. The median price for existing home sales in the fourth quarter 2017 was $339,000, up from $295,000. 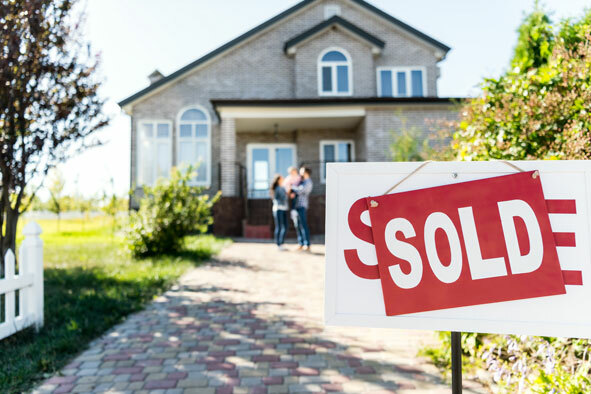 The year resulted in 6,826 homes sold through the Northern Nevada Regional Multiple Listing Service as compared to 2016, when 6,583 homes sold. Why doesn’t it feel like a better market? Probably because approximately 92 percent of sales were less than $600,000, which has so little inventory. A “balanced” market is 180 days of inventory, which includes pending sales. In analyzing the inventory that is actually available for sales through MLS, we have somewhere between 11 and 35 days in those same price ranges, which is the major reason we have experiencing rising prices. Dan Smith of Dickson Realty wrote a report explaining why Reno home values are increasing and listed economic growth, California retirees, investment activity and the lack of inventory as factors. He went on to explain that our community has seen double-digit appreciation since 2012, but finally slowed to a rate of 7.5 percent at the end of 2016. So what does 2018 look like? In my opinion, even more challenging. The affordability factor will begin to level off sales in the less-than $600,000 market, and rising interest rates will also have an effect. Nationally, homeowners are staying in their homes longer. Prior to the Great Recession, homeowners sold their home every five to seven years which helped create plentiful inventories. The typical American who sold a home in 2016 had lived in the property for 10 years, a record high according to the National Association of Realtors. This trend is contributing to the housing shortage that is affecting our community and much of the nation. One reason I believe it will be an even more challenging housing market is the impact of the mortgage interest deduction, which in the new federal budget is not so generous. The federal tax deduction for state and local taxes has been reduced. We are next to one of the highest priced, highest taxed states in the country, and it just got even more expensive to live in California. With our lack of state income tax and our unreasonably low property taxes, the state of Nevada must look very attractive to many Californians. While the relocation of Californians has always been healthy, it may speed up considerably, bringing even more people into our state. Mike Kazmierski of EDAWN believes we should be building 2,000 or more houses annually and that is to meet the needs of relocating businesses and their employees. With the unexpected impact of the new federal budget, it will make our housing market even more challenging, and personally, I do not see that changing for another three years. Hold on to your hats, it is going to be a bumpy ride! This article originally appeared in the Northern Nevada Business Weekly on Tuesday, Feb. 27, 2018. Nancy Fennell is the president of Dickson Realty. Visit www.dicksonrealty.com to learn more.